SAC Re, the hedge fund style reinsurer which was launched by hedge fund manager Steven A. Cohen and his firm SAC Capital, is to be sold to a group of investors led by industry veteran Brian Duperreault and the reinsurer will be renamed Hamilton Re. Brian Duperreault, formerly President and CEO at Marsh & McLennan and Chairman of ACE, was thought to be involved in discussions to buy SAC Capital’s stake in the reinsurer. Now, according to this article in the Wall Street Journal, the deal is set to be done and Duperrault, alongside a number of investors including technology and data driven hedge fund Two Sigma Investments will be the new owners of SAC Re. 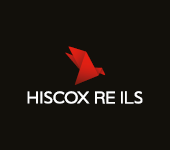 Once the deal is completed, SAC Re will be renamed to Hamilton Re, an appropriate name for a Bermuda domiciled and headquartered reinsurance firm. Mr. Duperreault is set to make a return to the reinsurance industry as chief executive of the newly formed Hamilton Re. The new name for the reinsurer has also been reported as Hamilton Insurance Group by the Insider in the last few minutes, so we can’t confirm this as yet. The name has also been reported as Hamilton Reinsurance Group by a number of media outlets, including the NY Times. The investor consortium buying Class 4 Bermuda reinsurance company SAC Re include Duperreault, affiliates of Two Sigma Investments, private equity firm Capital Z Partners which was involved in the launch of SAC Re by providing some capital, another private equity firm Performance Equity Management and some institutional investors. Reports suggest that the newly formed Hamilton Re will continue to follow a hedge fund reinsurer strategy, with Two Sigma Investments lined up to invest the premiums generated from the underwriting of reinsurance business. Duperrault told the Wall Street Journal of his excitement in joining the new Hamilton Re venture. He said that Two Sigma would be utilising its data driven hedge fund investment strategies to invest the reinsurers premiums but perhaps have applications to the pricing and quantification of risks underwritten as well. Two Sigma is a technology driven firm, which describes itself as a technology firm which invests. SAC Capital stated that it was now focused on the firms transition to a family office and said the agreed deal provides clarity for its clients, as well as for regulators, and would allow Hamilton Re to focus on its reinsurance business.